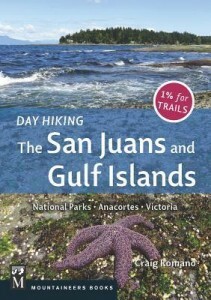 I was fortunate to receive a review copy of Craig Romano’s new hiking guide, Day Hiking The San Juans and Gulf Islands. I’ve been browsing through it often, and found my mind was opened to new possibilities for kid hikes that I hadn’t known about. 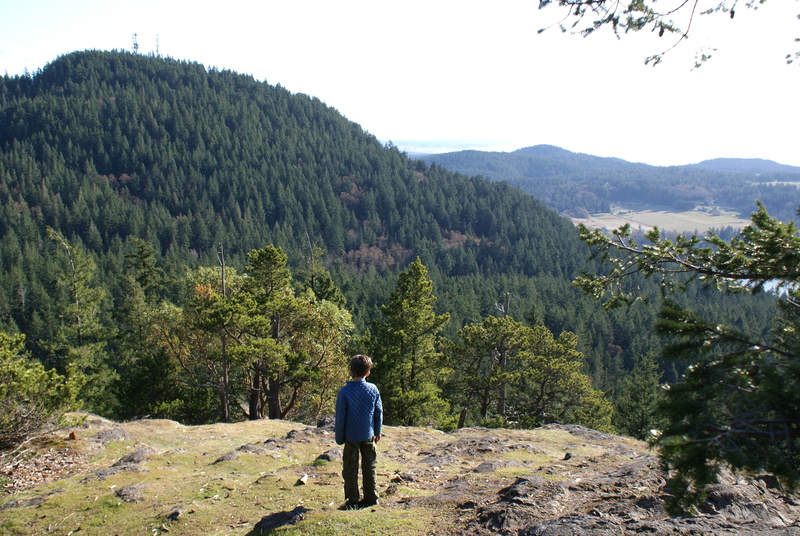 We tried out two short new trails (new to us, anyway) on Fidalgo Island near Anacortes. I’ll put that trip report up tomorrow. You’ll find more interesting hikes in the Anacortes area, but most of the book is full of hikes on the islands of the Salish Sea. 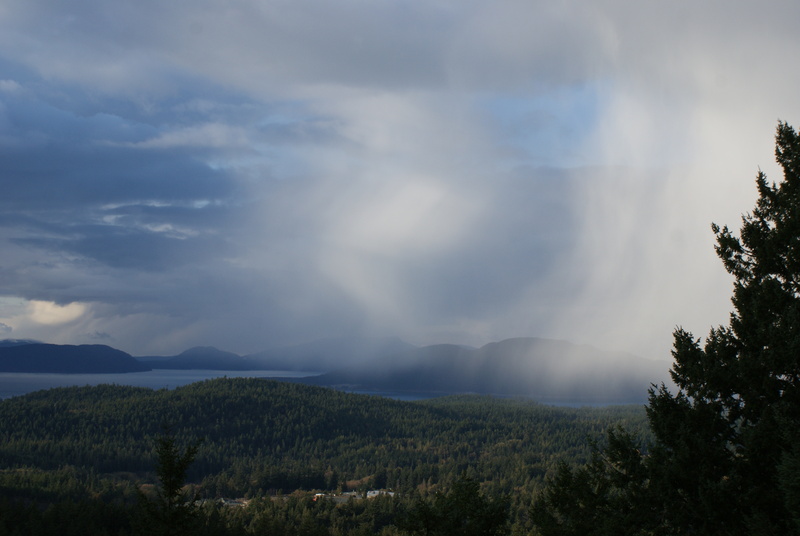 A couple of years ago we took the ferry over to Orcas Island to try out one of those hikes. But most of the other hikes in this book were totally new to me. Many of the islands I have never even heard of! You’ll find a bit of everything here: beach walks, forest hikes, treks to the tops of hills, and many other adventures. 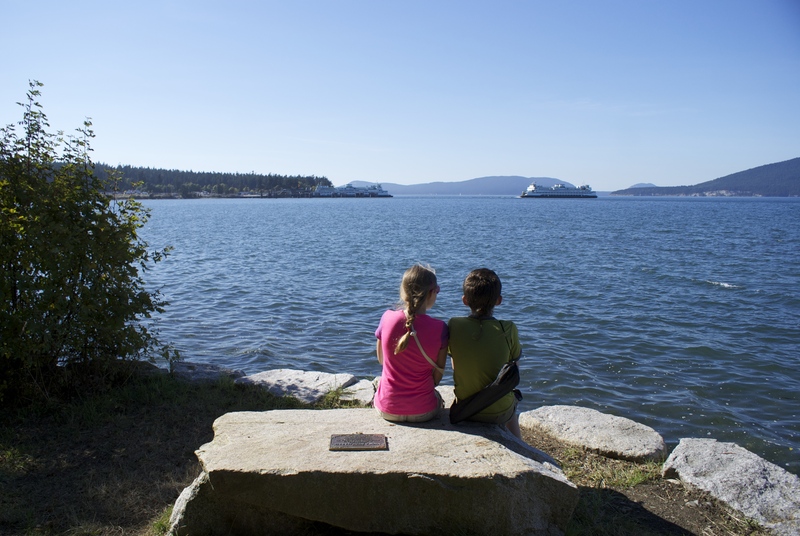 For some of these hikes you can get on the Anacortes ferry in your car or bicycle and get off at one of the islands and drive or ride to the trailhead. Other trips require a private boat, or you’ll need to hire a water taxi service to take you there. (Craig gives recommendations for companies to use.) I’d like to try both methods – Lopez Island looks like a great place to spend a few days, and I’m dreaming about making plans for next year to figure out the water taxi system. One of the things I really like about the Day Hiking series from Mountaineers Books is that they have little icons at the front of each hike description so you can see at a glance if a hike is friendly for kids and dogs. Craig is also a stickler for detail, and gives accurate driving directions as well as tips for each specific trail. He personally hikes every mile of the trails he reviews, so you can trust his mileage count and his trail knowledge. He’ll even let you know about good wildlife or wildflower viewing opportunities. I’m excited to try some more of the hikes in this book. I think these trails will be good in all seasons, having something to offer many types of hikers when we are ready for something different from the high mountains. 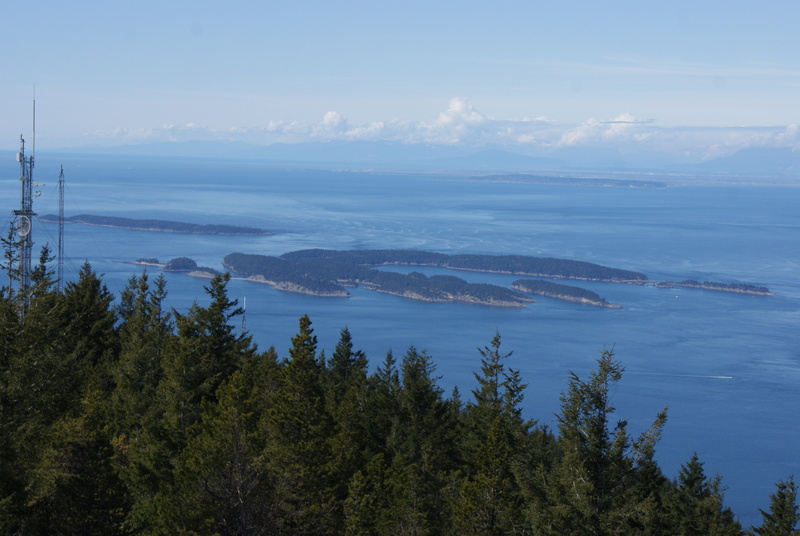 Day Hiking The San Juans and Gulf Islands by Craig Romano. Published by Mountaineers Books. Contains maps and descriptions for 136 hikes. $18.95. For more information visit the Mountaineers Books Website. You can also follow Craig at his website or at hikeoftheweek.com. Disclaimer: I received this book free for the purposes of review. All opinions are my own.